Credit to ehh on the title screen. Q: Are these translations any good? A: Probably not great. I use a translation aggregator to understand the sentence and then rewrite the sentences into something that makes more sense. Q: How do I install the patch? A: Check the next section. Note: you must have the original game. 1. Open "RGSSAD - RGSS2A - RGSS3A Decrypter" it's the application file. 2. 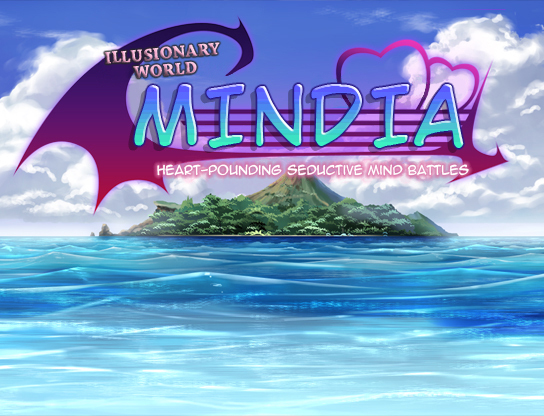 Go to file>open file> and go to the folder with the original untranslated Mindia game. 5. Click Generate Game.rxproj. Click Generate Game.rvproj. Click Generate Game.rvproj2. 6. Copy and paste those 3 generated files to your Extract folder. 7. Go back to your original Mindia game folder and copy the Audio, System, Game application, and Game configuration settings. Paste these files into your Extract folder. 8. Download and extract the Data file patch. 9. Put the Data file to your Extract folder and when asked replace it. 10. Right click the title screen picture on the first page and save as a jpeg file. Name it Title. 12. Click the Game application file in your Extract folder and enjoy the game. I dont suppose its possible to upload what you have so far? Dia, some inconsistency is fine with Oneesan/older sister depending on the situation. Agreed. I'm not the best at translating. but i would appreciate if you'd give us what you have so far. Did anyone download this yet? I'm pretty sure most of us have the game already. I can speak for myself on the side of having a translator as well. It'd be best to use what you have so far and go from there. hmm whats with all the extra image files in the download? must be from one of my other games that i was working on. I'll scrap it and reupload the file so its smaller. You have no idea how excited I am to see someone translating this game. I do have to ask why you chose such a fishy filehost, though. It's on quite a few blacklists for its notoriety for distributing malware. Just me being paranoid. Hmm, i think mega is the best site for upload for now. For the game, i prefer to choose oneesan in Name and in Talking mode. can someone reupload it on a better site then? i don't have any accounts or anything. Well, I'll have a whack at it. I'll translate the hospital map. I assume I simply need to upload the .rvdata2 file for the corresponding map and it'll be compatible? Thank you for your help and uploading the rvdata2 file will probably work. I'll be working on the Cave of Whispers. when i download it and use it, it keeps giving me a "extraction failed" message. Heya there bro, first of all congrats for starting your own game and the translation project. The problem is, as much as I want to playtest your game and translation, I can't seem to download the files from the site you upload your files to. It always stopped in the middle of the download and it says "complete", but with very minimal file size, and when I tried to extract it it gives me the exactly same message as Flash Trickstar. I suggest you change the place where you'll be hosting your files to, if you want suggestions, DropBox or Mega is a good choice. Also, check your private message if you can, thanks! Wow, props! Translating is a lot more difficult than I thought. I really appreciate your work now. There is so much slang, and for the text I can't translate myself, the machine translations spit out gibberish. Three years of Japanese classes aren't getting me very far. Anyway, I thought I'd upload the first floor just to test. Let me know if it's compatible with your game. worked just fine Shakewell. Nice job on the 1st floor. It's not a big deal if the translations are exactly word for word as long as you get the general meaning. just remember to use context clues if you get stuck. that's why I translate as I play through it. Anyways thanks so much for your help and keep up the good work. I'm doing some tweaking her and there but there was one thing that bother me can anyone think of a better translation for Futakuchionna then Ghost Lady? on map 36 the treasure chest you placed felt way too obvious considering Paranon's items are supposed to be secret but I understand you wanting to make them a bit more noticeable. rpganon123 do you have a save in the memoir room? I'd like you to test something for me if you do. While we're tweaking, is this game post-patch? If not, we should tone down the frequency of status effects. The patch was supposed to address it. Could be fixed by simply adding resists to the hero. Not too much, though. Status effects are still a big draw for me.